Paleo Breakfast Granola | Easy healthy recipes to make you feel good! Everyone LOVES a good Paleo Breakfast Granola. 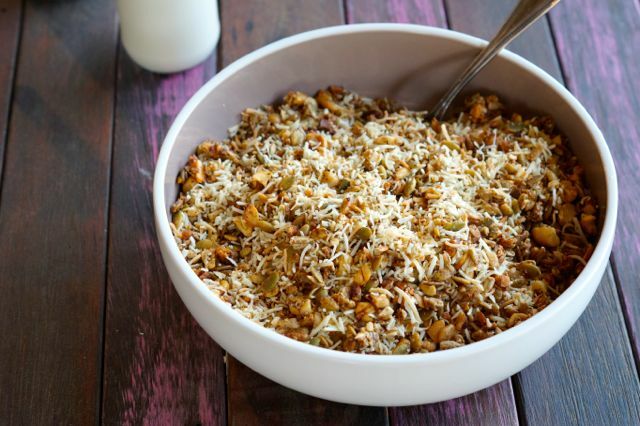 This one is super yummy as it’s full of coconut, pumpkin seeds, cashews and sunflower seeds! Nom! We actually made this big batch for a brunch we hosted and served it with homemade cashew milk! Everyone went crazy for it, going back for thirds and fourths! We’d recommend you don’t do this… granola is dangerously addictive! So make a batch, and be sure you eat it over a 1-2 week period, depending on how big your household is! 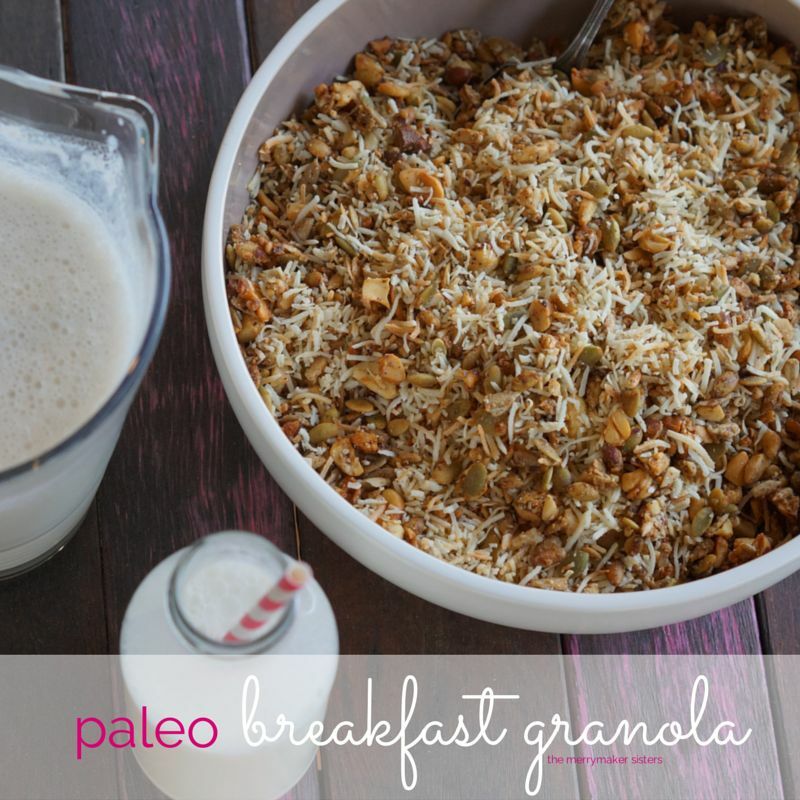 Paleo Breakfast Granola is also the perfect trail mix or desk snack! If you like this recipe, you might also like our Chocolate Granola or our Banana Cereal Clusters! Made something merry? We’d LOVE to see it! Tag your merrymaker moments with #themerrymakersisters on social media and we’ll share our favourites! In a large bowl mix the cashews, pumpkin seeds, sunflower seeds, macadamia oil and vanilla extract. Transfer the nut and seed mix on to the prepared trays evenly. Place in to the oven for 10 minutes, stir around a little and place back in to the oven for a further 5 minutes. Keep an eye on it as it can burn super easy. Transfer in to a large serving bowl or container, add the two cups of coconut and mix well. Swap the nuts and seeds around for what's inside your pantry! For extra taste, you can toast the shredded coconut before mixing it through!